Podcasts are radio shows you pick and choose from the internet, to create a radio station that’s tuned just to your interests. No subject is too niche, as long as the hosts are passionate and engaging. We’ve discovered some fascinating shows being produced on campus and spoke to the producers to find out what is involved in producing a show, and how you can get your own podcast started. Simon Trevaks of the Faculty of Arts Technical Resource Centre is happy to help. Siobhan O’Sullivan is another academic taking advantage of the The Media Creation Studio. She produces the podcast Knowing Animals, a regular podcast about all things related to animals and ethics; animals and the law; animals and politics; and animal advocacy. If you’re not in the Faculty of Arts, you can still get assistance producing and hosting your podcast idea. Brad Hall, Senior Online Producer at UNSWTV says the organisation can help schools and faculties with production assistance, to help get a podcast off the ground. 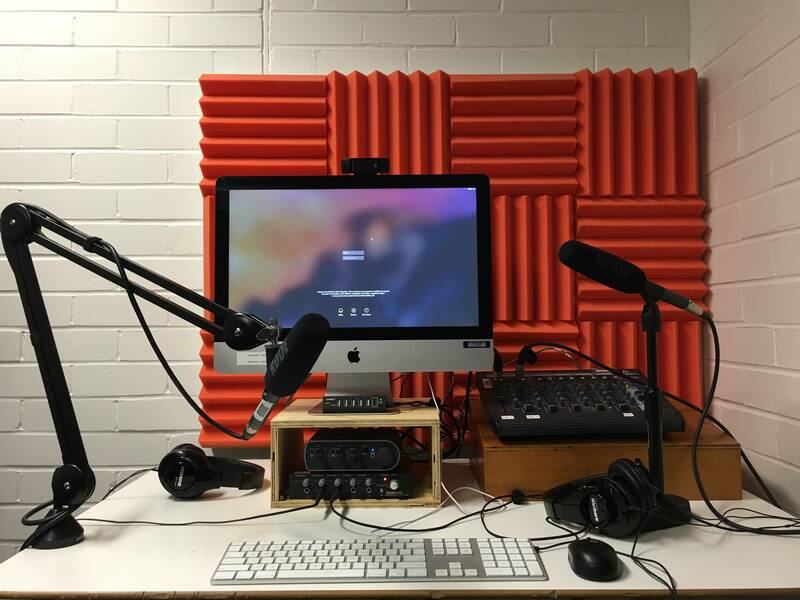 The team can also provide a space to host your podcast on the official UNSW Soundcloud page. Contact the UNSW TV team for assistance.